Established in 1970, White Rose Fuels proudly supplies domestic heating oil, gas oil and road diesel to homes, farms and businesses across the Selby area. Selby town has a fantastic market and lots of cultural activities that the local residents are very proud of. Selby is quite a small town at the centre of over 80 parishes and hamlets. In 2011, a survey carried out by property company Savills – found Selby and York to be two of the nation’s most popular places to live in the country. It is thought that the great transport links, proximity of York & Leeds, superb college and thriving nightlife helped it Selby gain this status. Selby’s housing offers just about everything the house buyer or investor could want. Choose from town centre waterfront apartments, new starter homes, large family Victorian homes and high-end individual properties. More recently, the introduction of Selby’s answer to Castleford’s Xscape, the Summit Indoor Adventure was born. Creating jobs and giving people a place to socialise and exercise, the complex was welcomed with open arms. Here you can try your hand at the adventure climb, indoor ski, adventure play, aerial trek, ride & skate or ten pin bowling. 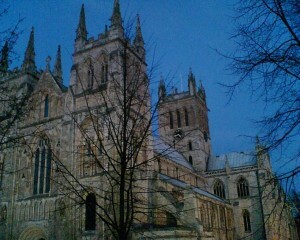 You can’t talk about Selby without mentioning the hidden Gem of Yorkshire, Selby Abbey. Founded in AD1069 and having stood for almost 1,000 years, the Abbey is a testament to endurance during some of England’s most destructive periods in history. The Abbey still remains a living, vibrant part of the local community. Formerly a common used by locals grazing their stock, it was later acquired by a local railway company, where Barlow Common Nature Reserve was born. The site now boasts a fantastic diversity of butterflies, birds and wildflowers. The nature reserve is always looking for volunteers to help out! Amongst the thriving live music scene, Selby Town Hall is regarded as one of the best live venues in the area (as officially recognised by winning the Yorkshire Evening Post’s Nightlife Award). Selby Town Council has been running the Town Hall since 2003, with regular performances of music, dance, drama and comedy. Some of the more notable performances at the Town Hall have featured The Ukulele Orchestra of Great Britain, Dara O’Briain, The Wombats, Jenny Eclair, Chris Farlowe, Jeremy Hardy, Two Door Cinema Club, Alan Carr, Midge Ure, Wilko Johnson, Steve Howe and Jon Richardson. If the large choice of bars, restaurants or live music isn’t your thing, why not try the Jorvik Theatre & Arts Centre where you can expect to see a mix of amateur Shakespeare, Musicals, Murder Mysteries, Cabarets and Pantomimes. Take a stroll in the five acres of beautiful gardens. Where you will see decorative planting, a play area for the kids, a Bowling Green, mini golf and picnic area. ← What is ‘Boiler Lockout’?